"Love is a perfect bond of union." We all know Selena gomez, the young, beautiful, talented actress who stars in the Disney Channel hit show Wizards of Waverly Place. But does anyone really stop and focus on the other half of her career; singing? Take her recent track "Who Says", a beautiful song about how girls/young teens should accept themselves for who they are. Unlike her other recent songs like "Round and Round" and "A Year Without Rain", this song tends to lean more towards being yourself, excepting your flaws, and being anybody you want to be. With awesome vocals and a catchy tune, Selena Gomez delivers a powerful message to all her girl fans out there. Be confident in everything you do and don't worry about all those judgeful words that may have been said to you. I really love this song by Selena Gomez. I personally think this is the kind of music young girls and teens should be listening to, something to boost our confidence and self esteem. Instead of talking about boys, love, or crushes, Selena Gomez approaches another topic for once, and she does a pretty great job at it! Lil Wayne- Is he really what you think he is ? Selena's like a full package. She's got it all. She's got talent, she's beautiful, she's inspirational, and she's smart. 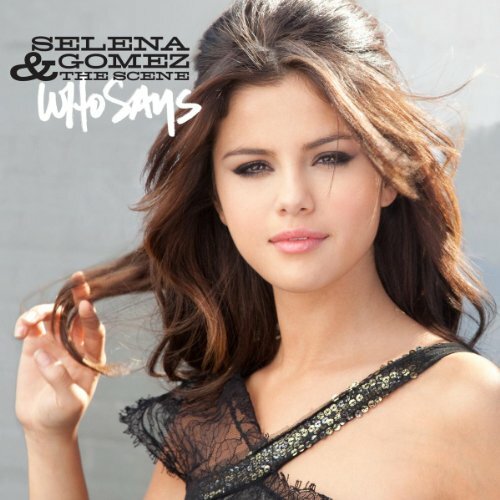 Who Says is an amazing song for girls who have low self-esteem. Her career will actually go far unlike other singers that sing complete trash and nothing else. Selena is a talented singer and this is why I love her.She's inspirational.She's not a bad person like some people say she is.She has a kind and open heart.She cares for people other than her fans friends and family.Which is why she is my top role model.Selena I ♥ u! I love Selena Gomez! I'm not sure why you would say that Taylor Swift is famous for her looks, though. A lot of people, including me, like her music! She's a lot more wholesome than many other stars! She doesen't do bad things, and her lyrics are always positive. You ceartainly have a right to your own opinion, but I don't think that Taylor Swift is famous only for her appearance. She's got a unique musical style. Like I said, you have a right to your own opinion, but let us not mistake opinion with fact!